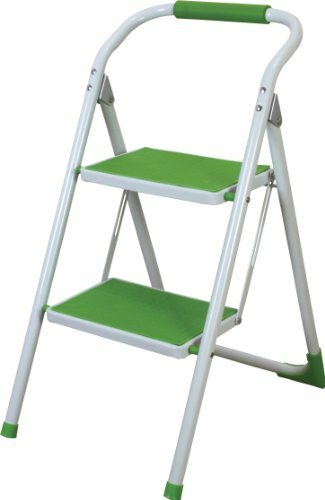 This folding step stool ladder is nice Light Green and convenient to storage when it's folded. *Product size: Wide 15.3" x Depth 21.3" x Height 29.9" *with Folded size: Wide 15.3" x Depth 32" x Height 3.2" *Package size: Wide 16" x Depth 35" x Height 3.5" (Inches) *Product weight: 8.8 LB *Package weight: 9.5 LB *Maximum Weight Loading: 330 LB (150kg) *Product origin: Made in China. *Product Quality Control: by Azumaya Japan. This product is already assembled. If you have any questions about this product by Azumaya Japan, contact us by completing and submitting the form below. If you are looking for a specif part number, please include it with your message.